The African association works for a continent that has an annual growth rate double the global one. Africa's ICT alliance chose Alaa Al-Kheshen, vice president of Eitesal Association to be a member in its managing board. The decision was made during a general assembly meeting in Johannesburg, South Africa. The meeting that witnessed the election of the board was held in conjunction with the ICT summit 2015. The assembly also re-elected Hossam Al-Gamal, former vice president of Eitesal among its board members. AfICTa is the first association of NGOs working in the information technology sector in different African countries. It serves to connect African markets among each other and to other markets. Head of Eitesal Association, Hazem Al-Tahawy hailed the selection of the two Egyptian in the African board, "This is due to Egypt's status among African countries. The African market is one of the priorities of Egypt's ICT sector due to Egypt's central geographical location as an Arab and African country. Egypt's success on the Arab and African levels is very important and opens new opportunities for cooperation between Egypt and its African counterparts". Eitesal had organized an AfICTa summit last year parallel with Cairo ICT fair. 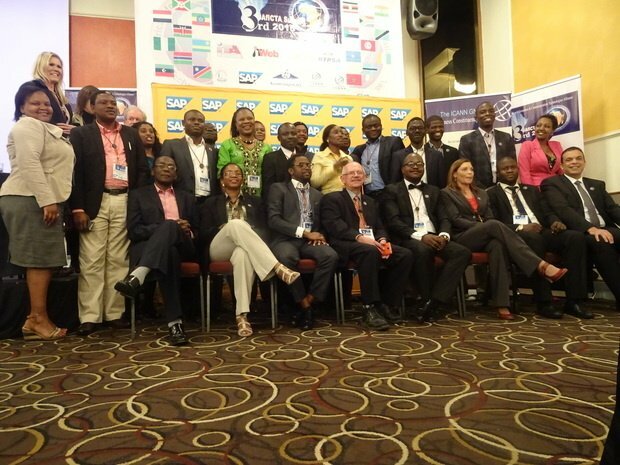 45 African countries attended the summit whose theme was "towards smart Africa". The summit tackled the needs and challenges of the continent in different fields like healthcare, government transparency, education, agriculture and expanding broadband internet in Africa. Representatives also discussed internet security problems that affects economic development and social and cultural progress through smart solutions. It is expected that expenditure on ICT in Africa (excluding South Africa) will reach $26.4bn by 2018 and with an annual growth rate of 7.03% which is double the global growth rates that equals 3.81%, according to research by IDC.